People of all ages can be affected with congestive heart failure, with around one-third of patients under the age of 60. The illness causes more hospitalizations than all the forms of cancer combined. People diagnosed with it are often encouraged to take many medications, with some pretty intense side effects. Doctors prescribe medicine that aims to improve how well your heart pumps, and other medicine to dilate blood vessels. Beta-blockers lower the heart rate, while ACE inhibitors reduce the amount of hormones in your body that can damage the heart. These medications, while often quite necessary, tend to cause dizziness, tiredness, changes in kidney function, swelling, nausea and appetite and digestive problems. It may seem a little counter-intuitive, but CHF patients are better off increasing their consumption of monounsaturated oils like extra virgin olive oil, as well as foods high in essential fatty acids. Patients should eat more fruits, vegetables and fiber — especially garlic, onions and celery, as they have been proven to lower blood pressure. Salmon, chia seeds and walnuts are also great for a healthy heart. It’s important to limit processed salt consumption to 2,000 milligrams (i.e., one teaspoon) per day — and that includes those hidden sources of salt and sodium like sauces, soups and pre-prepared food. If you’re going to use salt, make sure it’s pink Himalayan salt or sea salt. Soy sauce is definitely a high-sodium food to avoid, and cheeses are also typically high in sodium as well. The reason why you need to avoid processed salt is that sodium sponges up water in the body, making your heart work harder. Some great alternative seasonings to salt include cumin, paprika, pepper, oregano, garlic, onion powder and sage. Spicy foods are a great strategy to curbing salt cravings, and if you do need to add a bit of salt to your food, know that your body handles unrefined salts better. When a lot of food that is available is processed or fast food, it might initially feel daunting to have to limit salt intake. However, try to see it as an opportunity to be creative and to discover some incredible and rich herb combinations. For chicken or fish, ground ginger, cinnamon, cloves, allspice and anise will do wonders. For Italian dishes, add a blend of dried basil, marjoram, thyme, rosemary, red pepper, garlic powder or natural garlic, and dried oregano. The hawthorn herb, also known as thornapple, May-tree, whitethorn or hawberry, is the heart herb. Clinical studies have found that the herb extract has a positive effect on the treatment of left ventricular dysfunction and combats the symptoms associated with mild and moderate CHF. Hawthorn has been found to help with heart pumping efficiency and ACE inhibition. The hawthorn berry is recognized by the German government as a heart medicine — it apparently helps the heart to metabolize energy and use oxygen, and the flavonoids in the berry increase the heart muscle’s force on contraction. One of the best ways to consume hawthorn is through tinctures: and you can make your own. Steep berries in vodka or brandy for a few weeks, then filter. You can also use apple cider instead — though that will make the tincture less potent. After around three weeks, strain the berries out, and use a dropper bottle to put around 15 drops under your tongue, per day. While a decrease in magnesium intake can be fatal to sufferers of CHF, magnesium supplements have been shown, in some cases, to be effective in combating tachydysrhythmias (fast, irregular heartbeats). 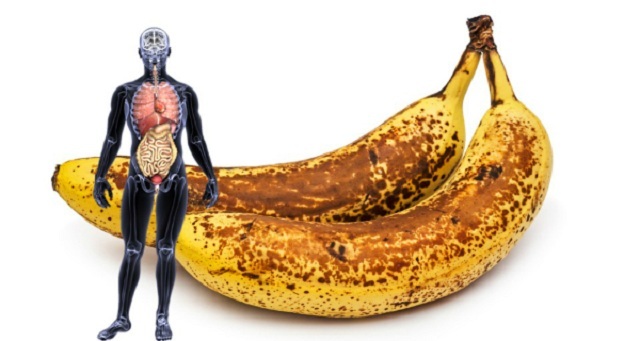 Other natural supplements that may benefit CHF patients include vitamin C (helps with cell metabolism), vitamin E (anti-oxidative), all the B vitamins (for heart function), creatine (for cardiac function), fish oil and potassium (if the CHF is caused by low potassium levels). Also known as CoQ10, this supplement is a coenzyme that naturally occurs in animals and in all cells of the human body. Many certified cardiologists prescribe CoQ10 to treat CHF, while doctors who resist natural treatments are often reluctant to. Doctor Stephen Sinatra, however, argues that COQ10 “is the greatest addition to the treatment of congestive heart failure in this century.” A heart typically has ten times more CoQ10 than other organs, but it is deficient in heart failure patients, meaning the heart isn’t strong enough to pump blood. Sinatra recommends 180 to 360 milligrams of this supplement daily. It’s well known that people suffering from heart failure and other related ailments like coronary heart disease need to make drastic changes in their daily routine. You need to maintain a healthy weight that reduces strain on the heart, avoid excessive alcohol consumption and restrict salt intake. Regular exercise has been shown to decrease symptoms and prolong life. The three key exercise types that can benefit people with heart failure are flexibility, aerobic and strength training. For flexibility, some basic stretching, tai chi and yoga can be great. Aerobic exercise is important for improving the way your body uses oxygen, and useful exercises to try include fast walking, jogging, bike riding, rowing and water aerobics. Lastly, strength training involves lifting weights or using resistance bands. The benefits include weight control and balance. Be sure to wait 90 minutes after eating to do aerobic exercise, and increase your amounts of exercise gradually. 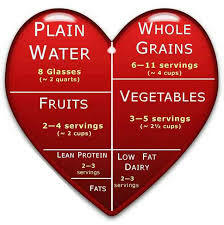 The key to reaping heart health benefits is regularity. Thirty minutes of walking, five days a week, for example, is a brilliant and simple program. Are you or someone you know currently using CHF medications? Are they helping or hindering? Have you tried any natural remedies? Let us know in the comments!